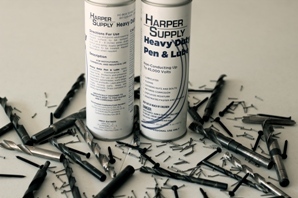 Heavy Duty Pen & Lube is an institutional strength penetrant, lubricant and rust inhibiting formula. No matter how rusted or immovable metal may be, this heavy-duty aerosol spray frees and lubricates corroded parts. The formula contains special ingredients with low surface tension that penetrate deep between rusted surfaces to quickly dissolve away corrosion and allow the parts to move freely.